See Lisa Is Cooking's review of this book and her take on Baked vanilla rice peaches, Thai lemongrass rice salad, Noodle salad with crisp tofu, Spinach polenta with balsamic tomatoes, and Gremolata seared chicken from this book. Simple but oh so good. We've used chabocha squash and butternut. Our go-to basic tomato-based pasta sauce. So simple that you shouldn't need to get store-bought again. 1.12 Yum and easy but not omg. 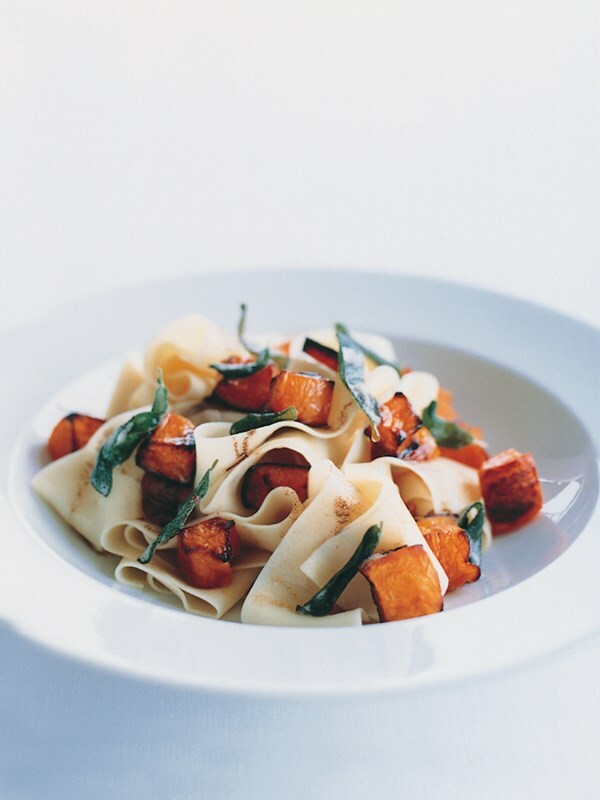 p. 22 - This is one of our all-time favourite pasta recipes. The lemon, caper, chilies and parmesan combo works beautifully. When time is especially tight, my favourite variation is to use tinned italian tuna (drained). Quick, simple and so delicious!! p. 22 - Very good. I liked this, K loved it. I added some grilled hot Italian Sausage to his. My issue was w the sauce. I thought it was good, but not great. It could have been the canned tomatoes I used as they were not my usual Italian brand but I suspect it was just too much of the tomatoes. I think next time I'd use just one can to allow all the other flavours to come through. Nonetheless, I enjoyed this and would make it again. A little boring - tomato sauce would help. 10.13 Used sour cream & had to thicken slightly - delish. p. 24 - This was awesome. I added about 1 lb of wild mushrooms and stirred a little bit of 35% cream in just prior to serving in an attempt to replicate the Tutti Matti dish. This did the trick and the sauce was just great. I also used double the recommended amount of garlic. A good all-round minestrone, though you would definitely have to like broad beans, as it is a large quantity in proportion to its other ingredients. 5.11 Beautiful, healthy and fresh. 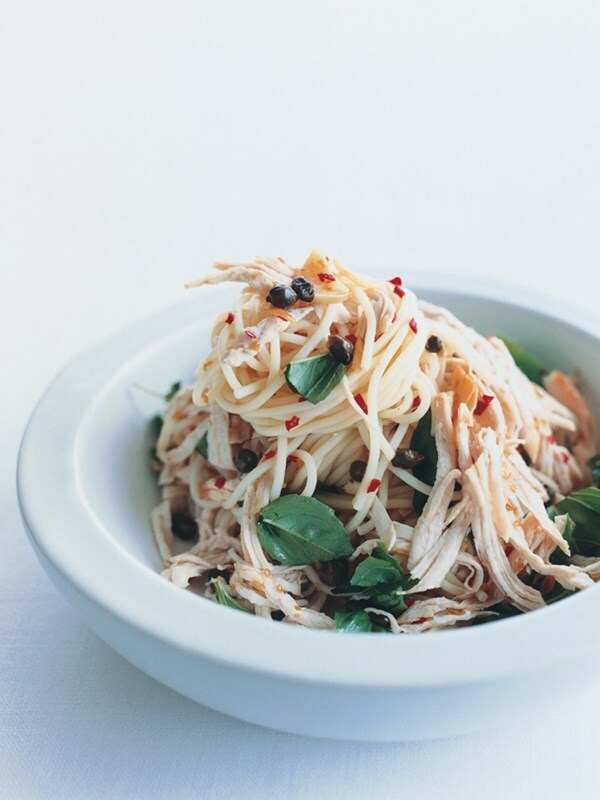 Delicious, fast and simple - perfect for week-night dinners. I added more lemon zest because I'm crazy for it. p. 30 - Excellent! Super quick and easy to pull together yet great big flavours develop. I added a little parmesan cheese prior to serving. Just wonderful. Also states that carnaroli rice can be used (judging from extra cooking time in a saucepan needed when arborio was used, it is probably superior). Would comfortably serve 3, serve 4 if you're having 2-3 courses in meal? 10.11 Pilaf - easy and tasty - next time add more cardamom - def repeat. The rice is very easy (although I used the timing on my rice, not in the recipe). Could use more salt or something, but a good, solid side. This dish is certainly very quick and easy. But it is rather bland. I think the problem is the large amount of julienned courgette in the noodles, and there isn't enough dressing for both. Pg. 58. This recipe is one of the very few from the book that left me wishing there was another flavor note to round out the dish. For me there was something missing even though strong flavors are present. We have had many wonderful tasty meals from this book in the past so this one was a surprise. The person who cooked the recipe before me gave it the three stars, and I would do the same. Pg. 62. We've cooked this terrific recipe several times in the past, the latest being last night. Usually I have to change out various ingredients for one reason or another but it always satisfies. Lovely fresh flavors, and sensible seasonings add to the enjoyment. We used soba noodles and a variety of mushrooms last night and they worked very well. Whenever we want a simple comforting dish this is what we choose. A different take - the pre-roasting gave for a lovely depth of flavour. Next time, I'd blend the honey and mustard with the pumpkin /stock as the Dijon I used appeared to leave tiny globules of mustard in the finished soup. Pg. 80. Loved everything about this dish. The various flavors, the textures, the easy prep and execution. Deserves several revisits! p. 80 - Made this in Jan '03. Awesome. . . especially the chickpeas. I used onion vs the leek called for and would double the fish spice next time and use a smaller pan so the spice is deep enough to get a coating on the fish similar to that in the book. Still . . . just wonderful. Quick and easy. 7.15 Nice change from normal mash. I have made this recipe several times, and it is so easy, yet it presents very well. My guests are always impressed, and the anchovies really mellow and dissolve in the oven so that people who usually shy away from them don't even realize they are in there. Don't mention the anchovies, and watch the anchovy-phobes gobble up their slice of tart! This was ok, but I suspect salmon instead of tuna would have been a nicer combination, as the tuna seemed to overpower the peas & mint. Warm Potato Salad, Pg. 106. Apr 19, 2013. Love this! Simple, easy and delicious. I'll not slice the potatoes next time because as hard as I tried not to let it happen some slices collapsed. I'll cut them in the usual potato salad chunks. Served on a bed of shredded dressed green leaf lettuce and the inner leaves of a head of escarole. This is a perfect main dish salad when a light meal is desired. Stunning flavor, a bit spicy, and fish cooked to delicate perfection. The salmon is a fairly standard approach - marinated in ginger, sesame oil, and soy sauce - but then quick seared over very high heat. I used a large cast iron skillet, and cooked for about 4-5 minutes/side, rather than the 1 minute suggested. A thinner filet would be fine at the 1 minute mark, though the intention was to have this fish on the raw side of rare. The salmon is served on coconut spinach, prepared with asian chili sauce, garlic, and chili peppers (spicy). Then you are instructed to add 2C coconut cream. I used regular coconut milk, and too much spinach, and it turned out soupier than suggested by the accompanying photo. Regardless, the spicy coconut spinach was a perfect foil for the salmon. If you prepare this, use the thinner pieces for eaters who are squeamish over raw fish. Asian-Style Ribs, Pg. 116. Apr 22, 2013. I used thick boneless pork shoulder "ribs" cut in half, a few in thirds because they were thicker. The pieces were dredged in a marinade consisting of: hoisin sauce, grated ginger, soy sauce (I used 1/2 dark & 1/2 light), sesame oil (dark), Chinese rice wine, Chinese 5-spice powder, Perfectly cooked ribs - sauce was delicious. .
9.13 Scrummy quick meal. Tastier than it sounds. Greens in Oyster Sauce, Pg. 124. 4.22.13. greens are first steamed then dressed with a tantalizing sauce comprised of sesame oil, shredded ginger, oyster sauce, brown sugar, and Chinese rice wine, all of which has been simmered till thick and glossy. The recipe suggests a variety of greens such as bok choy, gai lan, broccoli, or green beans. Since I had an enormous head of escarole I used that shredding the large outer leaves, more than enough for 2 people. Wonderful aromatic flavor from the sauce! Would work on almost any vegetable. Super quick and easy! Very tasty with any steamed of sauteed veggies. Quick and easy - cut the chicken into cubes but would be good as a whole breast too. 9.11 Yum for a change. 1.11 Don't press fruit down too far just sit on top as mixture does rise slightly. Very easy to make - quick dessert. My favourite way to use fresh peaches or nectarines. Very easy. I rated this in error and can't remove my rating. One of my favorite desserts for unexpected guests. Very simple and quick, no effort needed. 4.12 Very quick to make. Looks great - v rustic. 5.12 Quick and easy - spread quite a bit in oven - more a snap than a biscuit. Honey flavour quite strong. 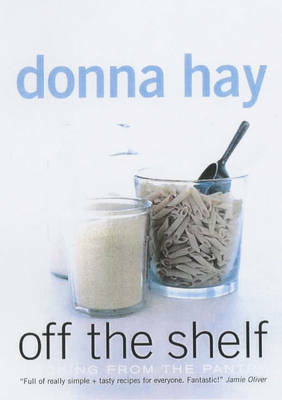 p. 80 - Another hit from Donna Hay! We thought this was amazing. Another easy and delicious DH dish. Our chicken breasts were fairly thick and took approx 40 mins in the oven. Next time I'd use 4 breasts instead of 2 for this quantity of couscous and, we'd then have some leftovers! Excellent! 1.12 Enough couscous for 4 breasts - scrummy. The photos grabbed my attention immediately, and the recipes are so straightforward there’s no reason not to jump right in and get cooking. You know you’re in for a good meal when it smells as good as this one did as it cooked. The yogurt kept the chicken tender, the spices worked their magic, and my work in making the meal mostly involved sitting down with a book while the chicken roasted and the rice steamed. This book aims to give the reader the know-how and the confidence to create a great meal at short notice. It shows that with a well-stocked pantry, in combination with a handful of fresh ingredients, mealtime solutions are always at hand. Each chapter provides a comprehensive look at a pantry 'basic' - origins, varieties, usage and storage, plus a range of simple ideas for its use.